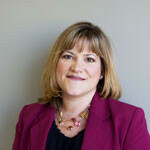 Susan has 29 years of experience in respiratory care and clinical services. Prior to founding Pediatric Home Service, I held sales and director positions with home health care organizations, including Glasrock Home Health Care, Travenol Home Respiratory, and Waconia Ridgeview Hospital. Starting with the recognition that there was a need for high-tech pediatric homecare, I built an organization dedicated to meeting that need and PHS opened its doors in 1990 to provide home medical equipment for children who otherwise would remain hospitalized. The original focus of the business, and a crucial aspect still today, was children with high-tech respiratory needs such as ventilator support, oxygen needs, tracheostomy devices and apnea monitors. This independent home care company recognized the differing needs of the infant, child and adolescent in comparison to adults and to achieve the management of this young population, a highly trained clinical team was formulated. Juli has 15 years of business development experience in the pharmaceutical and medical device industries. Currently, Juli is leading the development and growth of the Ximedica Minneapolis office in order to provide Minnesota-based medical device firms education on and access to the expert human factors, industrial design, and engineering consultants and services offered by Ximedica. As a Business Development professional, Juli has lead the growth of multiple medical device consulting firms and has experience with human clinical trial planning and execution, regulatory strategy and submission development, and product reimbursement. Before joining Ximedica, Juli held Vice President and other management positions at both The Regulatory & Clinical Research Institute (RCRI, Inc.) as well as Johnson & Johnson. 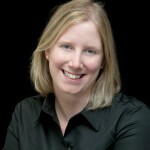 Juli holds a Bachelor’s degree from The University of Michigan and a Masters in Business Administration from Augsburg. 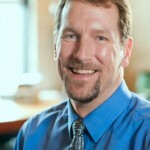 Phil Kading is the Client Strategy Director for OptumHealth’s Innovation Health Solutions group. Phil is responsible for delivering client performance reporting, client support and developing strategic client roadmaps for each of the Innovative Health Solutions clients and driving innovative solutions in the health management solutions marketplace. Phil has spent over 8 years in the UnitedHealth Group organization. He started at UnitedHealthcare and spent 6 years there in a combination of sales, business development and strategic marketing roles driving demand generation and sales targets in the commercial health insurance arena. After Unitedhealthcare Phil spent 2 years at OptumInsight in a Product Marketing Director role where he was instrumental in the commercialization of new product set for their payer business and was successful in opening up the Medicare Advantage Risk Adjustment marketplace. Phil started his career at a software licensing organization named SoftChoice out of Seattle, WA and held leadership roles in sales, marketing and vendor management. While at SoftChoice Phil lead the relationship with the largest SoftChoice vendor, Microsoft, and successfully managed this relationship to maximization of rebate goals. Phil has his BA and MBA from the University of St. Thomas in St. Paul, MN and graduated with honors for each of the degrees. Phil also has been involved in health policy groups throughout the Minneapolis area and has been actively involved in the discussion around health reform strategies. He enjoys traveling, both internationally and in the US, skiing and playing hockey. Al Emola has been in the healthcare industry for over 30 years and has served as president and CEO of several companies, including StentTech,, Vital Images and FlexMedics . Emola began his career in marketing at Bristol-Myers/ Squibb followed by marketing, strategic planning and business development positions at American Hospital Supply Corporation and St. Jude Medical. He has served on the boards of Vital Images, StentTech, Medafor and Enpath Medical. He holds an MBA from Indiana University’s Kelley School of Business and is currently consulting with medical device start-ups and turnarounds. Dr. Fischer is a board certified pediatrician and 2010 Medical Device Center Innovation Fellow at the University of Minnesota, where she is completing a clinical fellowship in pediatric critical care. 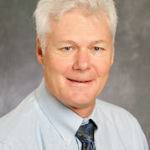 Fischer is a co-founder and Associate Director of Pediatric Innovation with the Minnesota Pediatric Devices Consortia, which will be actively developing and promoting pediatric specific technology starting in the fall of 2011. She received her bachelor’s degree at Vassar College in New York with a focus in cognitive sciences, and received her medical degree from Loyola University in Chicago. She completed a pediatric residency at Children’s Hospital at Dartmouth before returning to Minnesota. 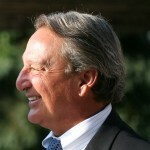 Tom McGoldrick served as chief executive officer of Monteris Medical Inc. from November 2002 until he retired in November 2005. He has been in the medical device industry for over 30 years and was cofounder and CEO of Fastitch Surgical in 2000. Fastitch (Now Incisive Medical) was a startup medical device company with unique technology in surgical wound closure. 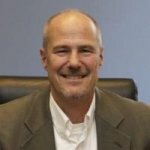 Prior to Fastitch, Tom was President and CEO of Minntech, a medical device company offering services for the dialysis, filtration, and separation markets. Prior to employment at Minntech, he held senior marketing, business development and international positions at Medtronic, Cardiac Pacemakers, Inc. and Johnson & Johnson. Tom is on the board of directors of two other startup medical device companies. 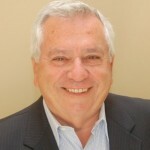 Jim Hartman served as the chief executive of Enpath Medical, Inc. and its predecessor company, MedAmicus, Inc., from 1994 to his retirement in January 2006. He served as board chairman from 1994 to 2007, at which time the company was sold. He also served as chief financial officer from 1991 until his retirement. Enpath developed and manufactured medical devices for the vascular and cardiology markets. 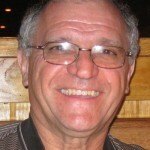 Jim serves on the board of two publicly traded companies, NVE Corp, and WSI Industries, Inc. 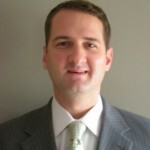 He has an MBA from the University of St. Thomas and is a non-practicing CPA. Slaker brings over 20 years in the for-profit medical device industry, including extensive experience in all aspects of medical device product development from concept generation, product development and refinement, regulatory submissions, quality system requirements, manufacturing development, surgeon/physician relationships, project management and the management of engineering staff and cross-functional project teams. He also holds seven patents for various medical devices. Slaker has a B.S. in mechanical engineering from the University of Minnesota and his MBA from the University of St. Thomas.